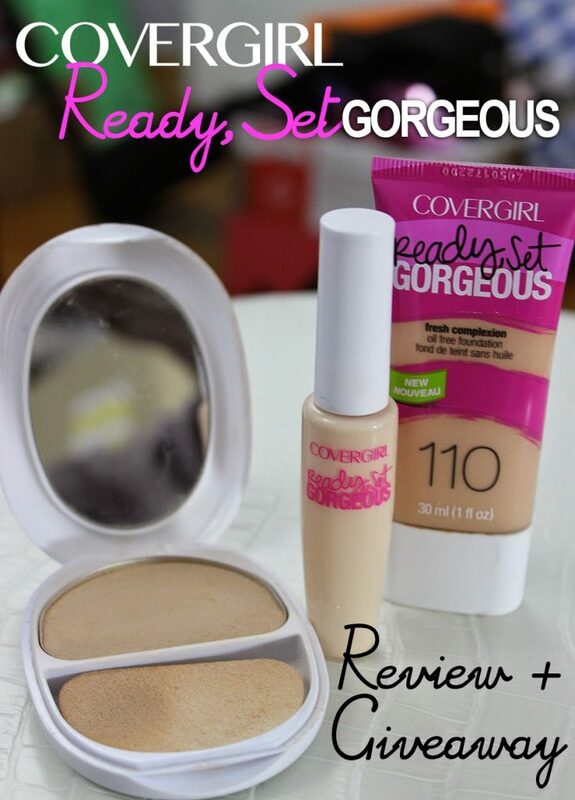 Recently I gave into the hype surrounding the Covergirl Ready, Set Gorgeous foundation set, and let me tell you, it was totally worth the buy! This is hands down the best full coverage foundation that I own, and it is my exclusive foundation choice at the moment. When I say full coverage, I mean FULL COVERAGE, but without the cakey, overdone look that most heavy full coverage formulas will offer you. 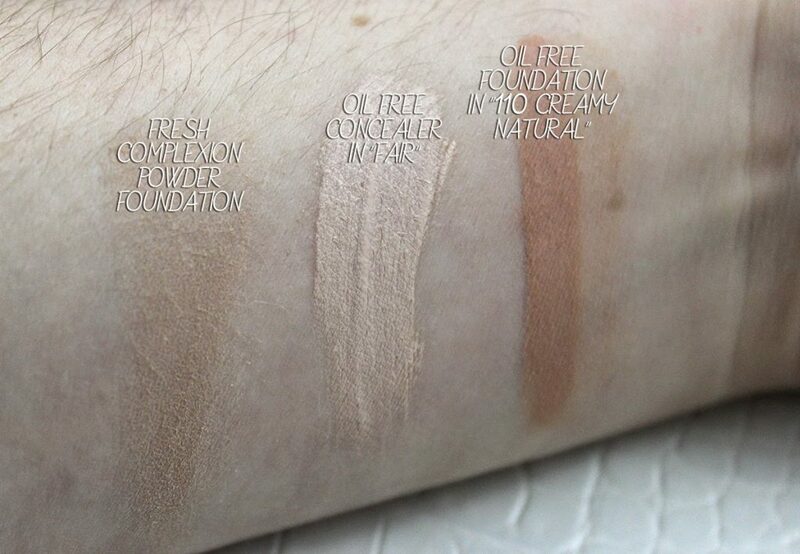 I think it is safe to say that this foundation set does none of the above! 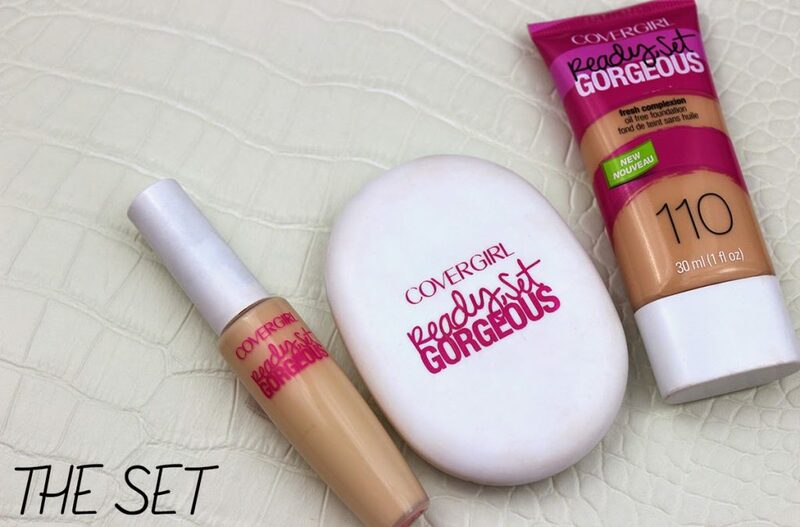 The Covergirl Ready, Set Gorgeous set can all be purchased separately and retail for around $7.99 each. The price alone makes each of these products well worth it, and about a $30 difference from my favorite high end full coverage foundation, the Tarte Amazonian Clay Foundation. Biggest difference between the Covergirl foundation and my high end choice is really in the performance of the formula! I was astonished to find that the Ready, Set Gorgeous out performed my Tarte counterpart in the areas of smoothing out my pores, and giving me a nice, flaweless finish to my skin. It didn’t take long for me to return my Tarte foundation in lieu of this new discovery. Oil Free Foundation: This product is the winner of the bunch, and definitely my favorite of all. I like the fact that this foundation is oil free and doesn’t contribute to additional break outs on my face. 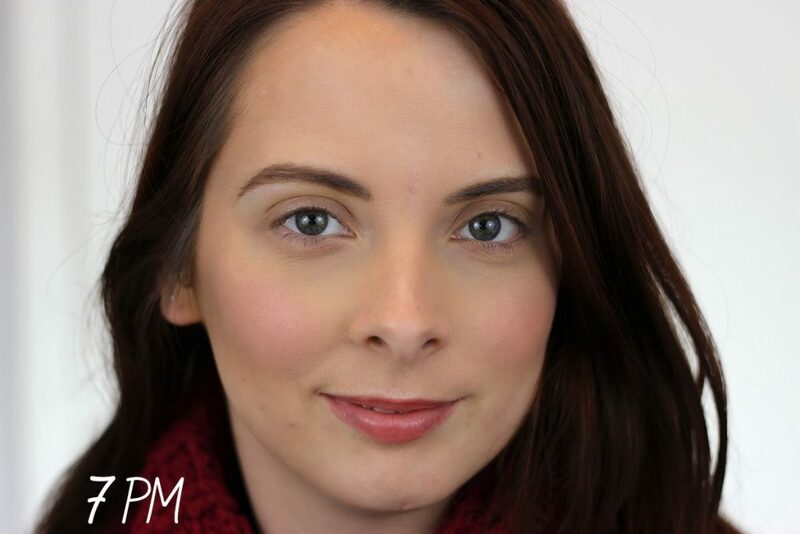 I find this formula looks pretty dark out of the tube and in the swatch photo above, but on my face I think it looks incredible (making my dull winter face look alive)! While it is a full coverage foundation, it does not feel at all heavy on my skin, nor does it feel too drying like some full coverage foundation formulas. It provides a wonderful matte finish, an essential asset with my oilier skin. It does a wonderful job of smoothing out all of my pores, covering up blemishes and redness, evening out my skin tone and giving me a nice, healthy pallor even in the wintertime. I use a dome foundation brush to apply this to my face every morning by squeezing an ample amount onto my hand, dipping the brush into the product, and applying directly to my face in buffing motions. I am already probably a good half way or more through this tube, and will need to repurchase very soon! Oil Free Concealer: I find this concealer to be best for covering up underneath the eyes and highlighting my forehead, bridge of my nose, cupids bow and chin areas. As far as covering up blemishes, I need a much thicker formula to stay on my skin all day plus building this up over a layer or two of foundation tends to look a bit cakey on my skin. I think this product will last me a long time as I only utilize for the purposes I mentioned above. 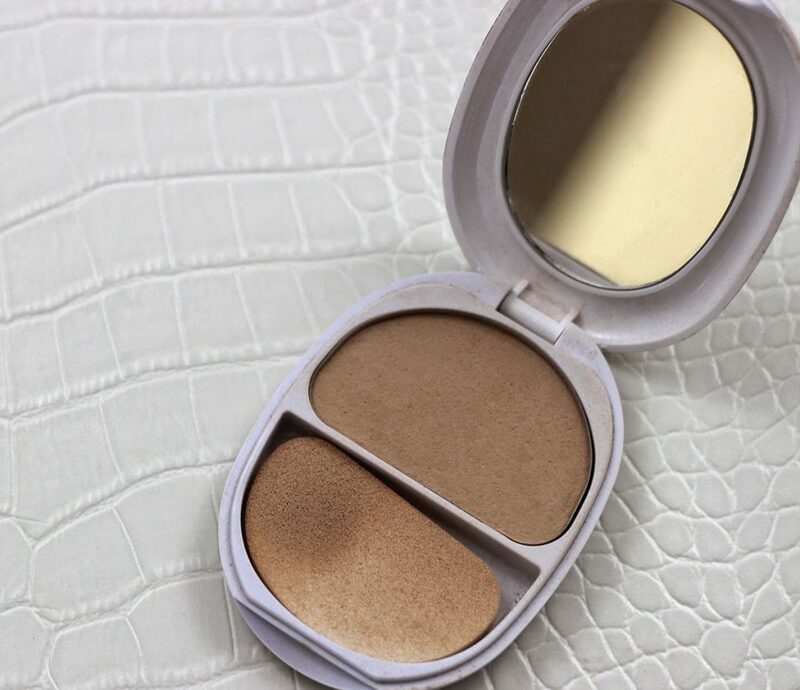 Fresh Complexion Powder Foundation: This is definitely my second favorite product in the set, and one of my favorite setting powders in my collection. What’s great about the formula is that it truly is a powder foundation and not just a translucent powder on the skin. This product gives me a wonderful matte finish, and really helps my foundation stay all day without any touch ups throughout. If I could recommend the necessary products out of the set it would be the liquid and powder foundations in tandem with one another, and you can tell from the picture above just how well loved this product is! I really love the lasting power of this formula, and find that it has little to no breakdown throughout the day. Here’s my face 12 hours later, and it still looks relatively fresh on my face, minus a couple of spots poking through. If you are someone that is looking for a formula to stand the test of time throughout the day, this foundation set is for you! I want to give you (my readers) the chance to win this set for yourself! Check out my rafflecopter widget below and fill out all of the entries to win Covergirl Ready, Set Gorgeous for yourself! This giveaway is sponsored by MyFairDaily and all gifts were purchased with my own money. This is not affiliated with Covergirl Cosmetics. Giveaway is open internationally to anyone over the age of 16 or with a parent’s permission. Winner will receive the foundation set with the shade range of their choice. Giveaway is open for one week, and will close 1/16/15. Winner must respond via email in 48 hours to receive their prize.